It was an excellent start with the modified Joy Ride. 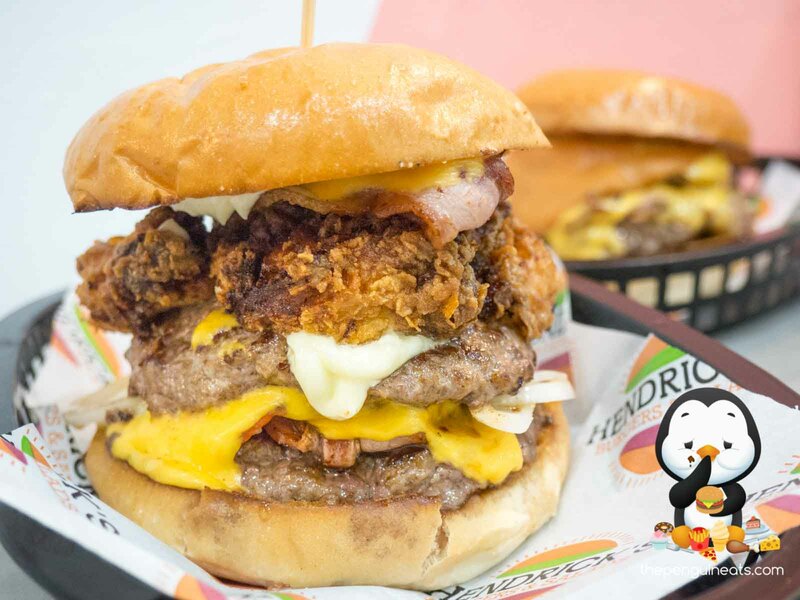 Sandwiched between the lightly toasted yet soft and fluffy buns, we found ourselves in front of an impressive stack of meat, sauce and cheese. The Special Fried Chicken was nothing short of sensational. With an incredibly flavourful crumbing, the outer skin was fried to a nice crisp and provided a satisfying crunch with every bite. 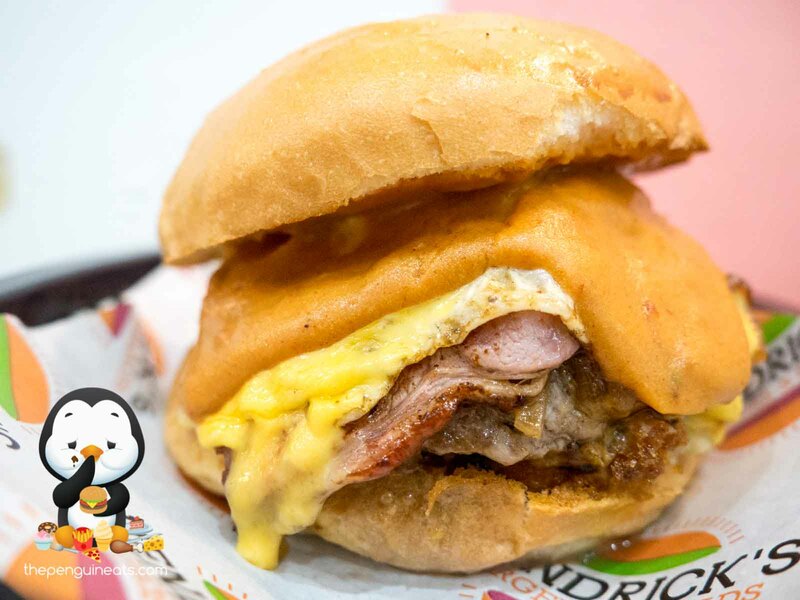 The cross-section reveals a thick and well-cooked chook, with the protein exceptionally tender and juicy. Down to arguably the most important part of the burger were the beef patties. Exhibiting a slight charring on the outer edges, the beef patties were incredibly juicy and had great beef flavour. The coarse ground ensured plenty of texture, though the beef was a tad too well-done for our liking on this occasion and wasn’t nearly as tender as we’d hoped. Still though, this was very enjoyable especially with four whole slices of melted cheese intertwined between these two juicy, flavoursome patties. Holding everything together was Hendrick’s special sauce and mayo, providing a creamy sensation and slight tang, especially with the occasional pickle cutting through the grease. Arguably a more ‘simple’ burger, Old Man Jimmy was no less spectacular. The once again soft and fluffy buns held together all the things you’d want in a breakfast. 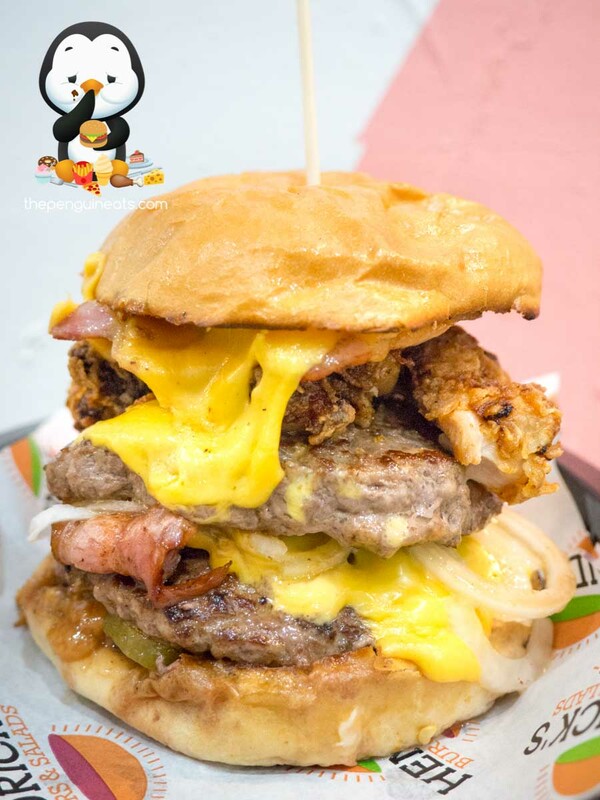 A generous slice of cheese aptly melted on top of the juicy beef patty, which was well complemented by the sweetness of the caramelised onions. While the crispy cheesiness of the cheese croquette contrasted the soft buns. Topping it all off was the beautiful fried egg, with its yolk remaining exceptionally runny and providing the a rich gel that held the burger together rather well. The Loaded Fries didn’t disappoint either. Topped with a generous amount of gravy and shredded beef brisket, this meat-and-potato concoction was made even better with an abundance of melted cheese sauce and spicy jalapenos. The fries themselves were excellent, fried to a golden crisp on the outer and light and airy within. Well-seasoned, the chips remained crunchy for most of the meal despite the sauces, which was well complemented by the flavoursome beef brisket. However, the protein could once again have been softer on this occasion. It’s clear that Hendrick’s is a cut above your average burger joints. 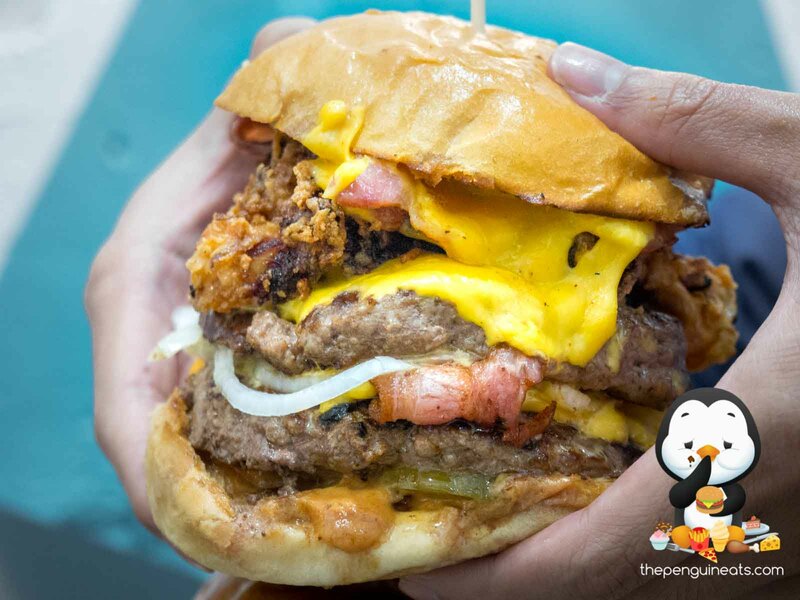 The burgers we sampled today were undeniably tasty, featuring quality ingredients that were generally well-executed and flavours complimentary of one another. 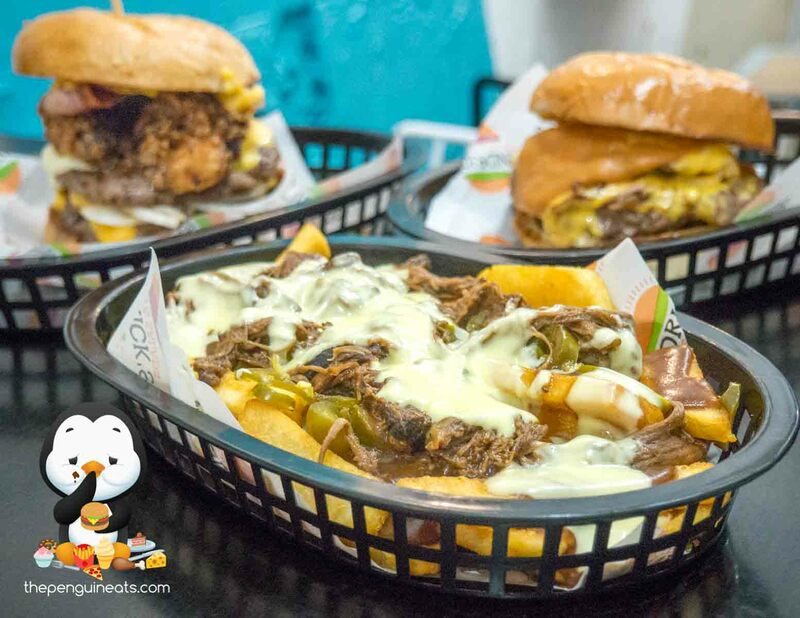 With ability to customise each burg to your hearts’ content, as well as a menu that caters to various dietary requirements, it’s no doubt that Hendrick’s Burgers is a winner, and gives the burger joints of Melbourne’s East a run for their money! 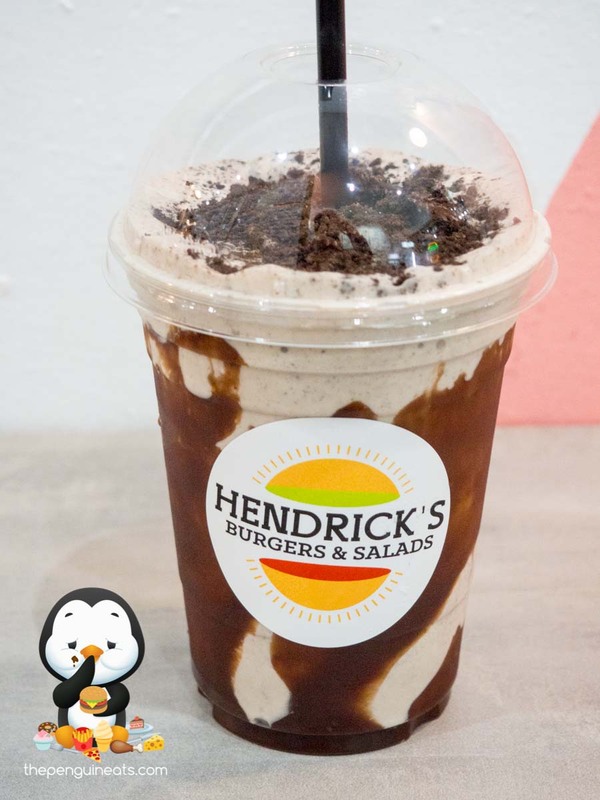 Penguineats would like to thank Hendrick’s Burgers for inviting us.